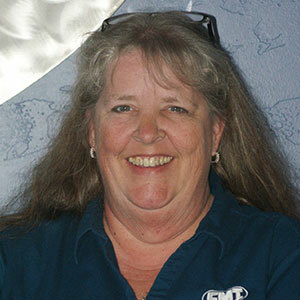 Carrie Stone | Excel Mechanical, Inc.
Carrie Stone relocated to Tucson in 1986 from Upstate NY. She has been actively employed in the construction industry since 1992. Starting off just answering telephones, she earned her CIT (Construction Industry Technician) designation from Clemson University in 1998, and worked her way up in Financial Management. Not only does she handle all the day-to-day accounting functions, she is dedicated to providing the utmost in "customer service" and “employee relations” for all of those associated with Excel Mechanical. Carrie starting as Controller in 2007, and now, in 2014, as Vice-President of Finance, works closely within Excel's Management Team to streamline and ensure that ALL aspects of Excel Mechanical, Inc. are efficient and profitable. Carrie has been a very active member in the Tucson Construction Community serving on various boards including (3) terms as President for the Tucson Chapter of the National Association of Women in Construction (NAWIC), a director for the Cornerstone Building Foundation, and a member of the Construction Financial Management Association (CFMA). Outside of work Carrie enjoys Muscle Cars, taking the boat to the lake, and playing at the Dunes.